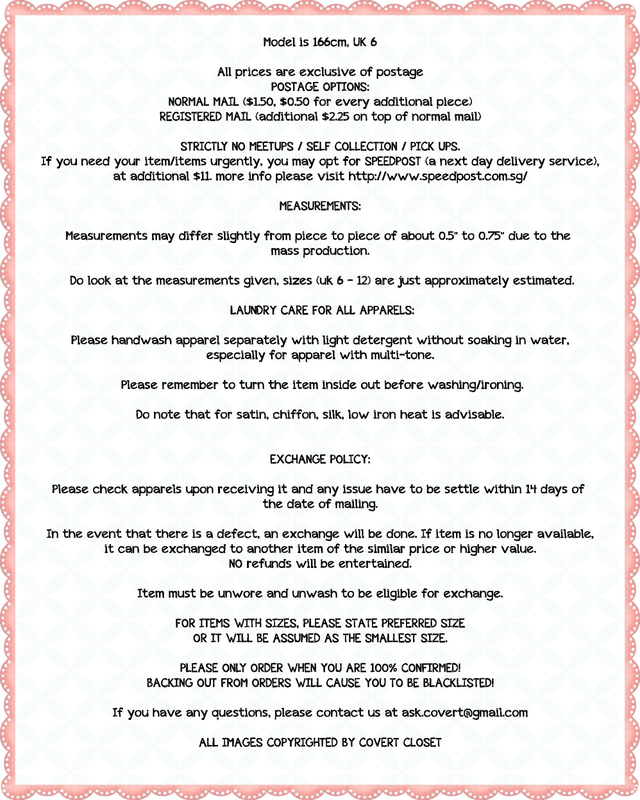 Covert Closet Collection 42 Launched!!! Features aztec prints. Made of cotton polyester mix. Not sheer. Features skater cut. Made of cotton. Not sheer. Features flare cut bottom and back zip. Made of cotton polyester mix. Not sheer. Features non-functional buttons. Asymmetric hem overlay for sweet korean look. Made of chiffon and cotton. Features functional exposed front zip and cut out details with exposed V back. Made of chiffon polyester mix. Not sheer. Features functional button down front. Made of chiffon. Slightly sheer. Features functional front buttons and cut out back in the shape of a spade. 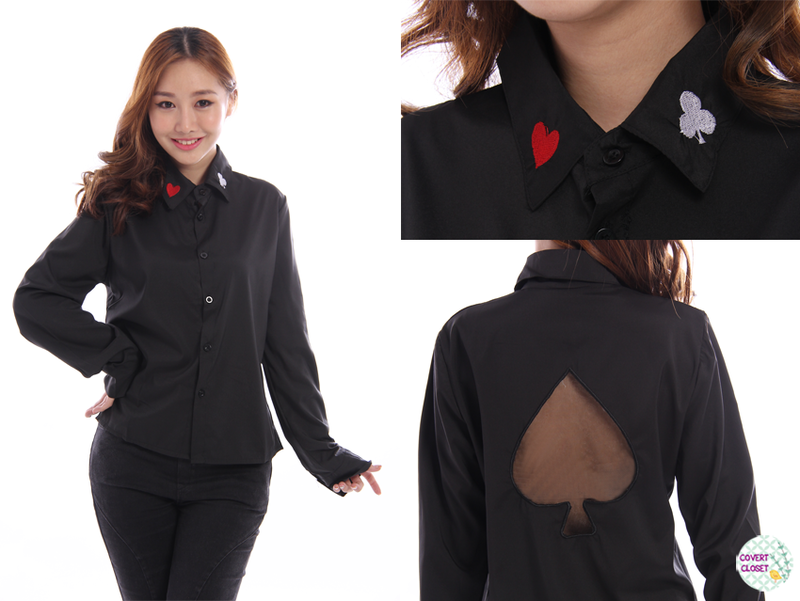 Collars have embroidered heart and club shape. Made of chiffon polyester mix. Not sheer.